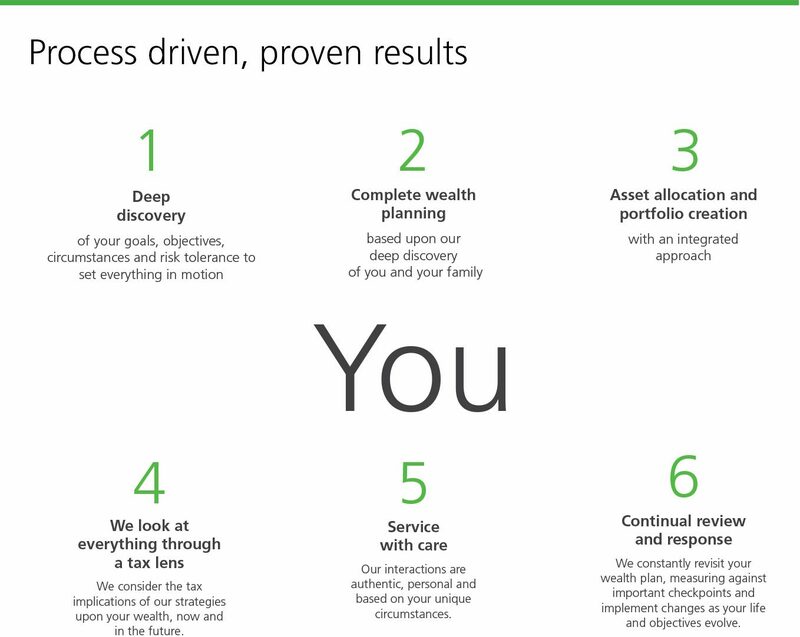 At Sager Fingland, we know that your wealth management needs are unique and sophisticated. As your trusted advisors, we take the time to fully understand your circumstances before crafting a comprehensive wealth strategy to help you achieve the financial future you envision. Most importantly, we work hard to establish and maintain trust, knowing that a strong, long-term relationship is the key to helping you achieve your goals. Our team-based investment process is built on experience, knowledge and transparency. We offer best-in-class investment solutions tailored to your unique goals. Your best interests guide every decision, from finding tax advantages to implementing income strategies to ensuring your estate planning needs are taken care of. We approach every relationship with the utmost care and discretion – knowing that we are helping you build and protect your wealth for generations to come. As one of the largest teams in Southwestern Ontario, we manage almost three quarters of a billion dollars in client assets. Our team-based approach emphasizes honesty and experience. You and your family can expect long-term service continuity for generations to come. Our relationships are built on trust, transparency and candid communication. A deep discovery process tells us what is important to you and what keeps you up at night. We believe that wealth management is more than managing money and we’re here to help you with all your financial planning needs – big or small. 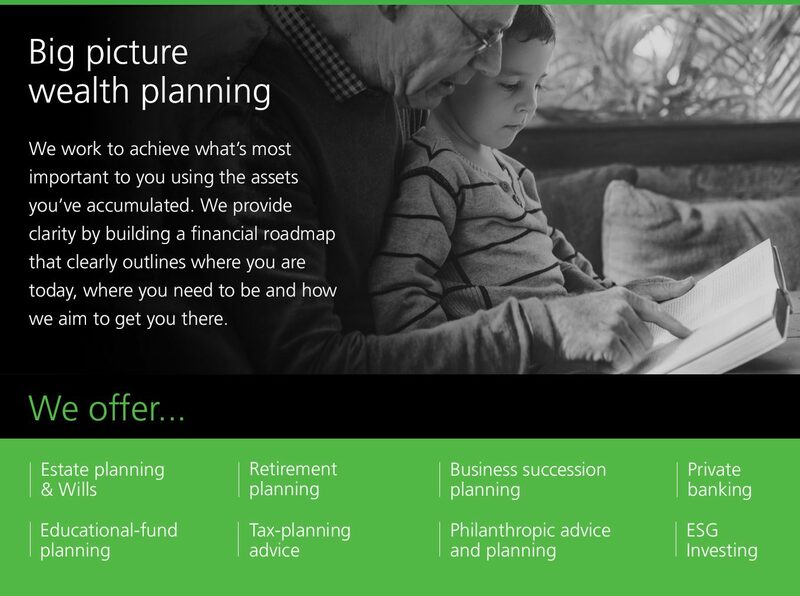 We want our clients to enjoy life, knowing that their assets – and their financial future – are in good hands. Blair Fingland has been in the wealth management business for more than two decades. He holds a degree from Wilfrid Laurier University and is a Certified Financial Planner (CFP®). Blair works closely with Robert Sager, leading the team and building prudent, tax-efficient portfolios for high-net-worth families and individuals. Blair primarily handles wealth management for affluent business owners who require sophisticated, best-in-class investment strategies. Blair also works with Heidi Yandt to provide holistic wealth planning to help clients find tax advantages, meet their retirement and estate-planning goals and ensure access to private and commercial banking services. Blair was one of the first Canadian advisors to move beyond basic stock broking and into comprehensive, full-spectrum wealth planning. Affable, lighthearted and casual, Blair makes people feel comfortable, building strong client relationships based on trust, transparency and candid communication. Blair believes in the power of team sports for youth and has been a long-time volunteer for both Waterloo Minor Hockey and Waterloo Minor Baseball. Blair has two adult children and lives in Waterloo with his wife Angie. Robert Sager has been in the wealth management business for nearly two decades. 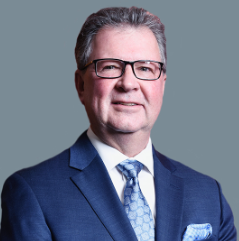 He has an Honours Degree in Economics from Wilfrid Laurier University and is a Certified Financial Planner (CFP®) and Chartered Investment Manager (CIM®). Born and raised in Kitchener-Waterloo, Rob’s conservative approach to capital preservation took root early in his career, as the tech bubble burst and he experienced first-hand how economic and market uncertainty impacts investors. Rob works closely with Blair Fingland, leading the team and building prudent, tax-efficient portfolios for high-net-worth families and individuals. His analytical and technical skills resonate well with business owners, professionals and complex, intergenerational families. Rob also works with Heidi Yandt on broad-based wealth planning strategies to help clients achieve their estate-planning goals and minimize their tax liabilities. 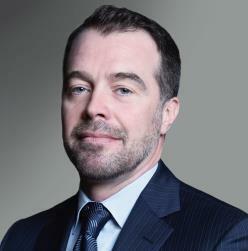 Prior to joining TD in 2004, Rob held roles with Mutual Life, Merrill Lynch Canada, CIBC Wood Gundy and CT Financial Assurance. Rob lives in the KW area with his wife Erika and their three young sons. As a family, they love to travel and enjoy an active lifestyle in the community. Heidi Yandt began her career with TD in 2006 and has been providing financial advice to investors in the Kitchener-Waterloo area for more than a decade. She has completed a three year diploma in Financial Planning and holds the Certified Financial Planner (CFP) designation. Drawing on her extensive wealth planning experience, Heidi builds and maintains strong client relationships based on trust, transparency and clear communication. Heidi works with Robert Sager and Blair Fingland to create customized, comprehensive wealth strategies to help clients fulfill their unique financial vision. Heidi takes the time to understand each client's situation before creating the roadmap which can help them to achieve their financial goals. 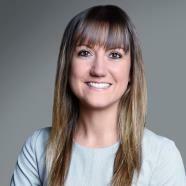 She combines her experience and skills with the team and the breadth of resources available through TD, in order to meet her goal of providing an exceptional client experience. Warm and approachable, Heidi believes that managing wealth is much more than managing money, which is why she takes a holistic approach focused on personalized, professional advice. Whether transitioning into retirement, planning for a major purchase, protecting your assets or leaving a legacy, her big-picture view helps translate life goals into financial reality. Heidi lives in KW with her husband Nathan and together they enjoy a busy, active lifestyle. Born and raised in the area, Heidi maintains deep ties to the community, volunteering her time and supporting local foundations.